Underwater mining is still in its infancy. There are only two underwater mining companies exploring the potential of offshore mining. But the current boom in metals may cause the undersea hunt to explode. The oceans may become the battlefield for exploration companies over the next decade. Just as oil companies in the 1940s began to look offshore for oil, mining companies will be scouring the ocean floor for precious and base metals. Seafloor massive sulfide (SMS) deposits were discovered during the 1960s. Essentially, they are younger versions of volcanogenic massive sulfide ores. These deposits can contain impressive grades of copper, lead, zinc, silver and gold. Considering 70% of the earth's surface is covered in water, it's surprising that mining companies aren't taking advantage of these rich sea beds. But don't think they haven't tried. Underwater mining began over thirty years ago, and the prospect of commercially mining the sea floor gained much attention. During the 1980s, more than $650 million was invested in mining technology for extracting manganese nodules. The nodules held significant quantities of nickel and copper. Sulfur deposits produced from underwater volcanic areas are known as "black smokers." These are created by water that leaks into the seafloor. The water is subsequently heated and released through vents. As the hot water hits the cold sea water, mineral formations are formed. Millions of years pass before these formations collapse and create the ore deposits. Polymetallic deposits can be huge, too. Deposits of over 100 million tons have been found. Exceptionally high concentrations of gold, known as epithermal (magmatic) gold deposits, have been found within new under water mining deposits. 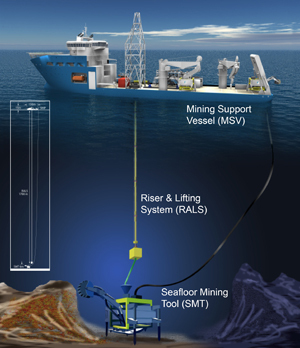 Unfortunately, companies found deep-sea mining too difficult. The prices for these metals weren't high enough to justify further development, so undersea exploration came to a standstill. Yet the practicality of underwater mining rests on the success of two small companies. The underwater mining companies that are leading the field are Nautilus Minerals and Neptune Minerals. Both are currently pursuing exploration programs offshore to determine the viability of commercially mining the sea floor. The primary obstacle for these companies is retrieving the ore. But today's oceanic technology provides hope. 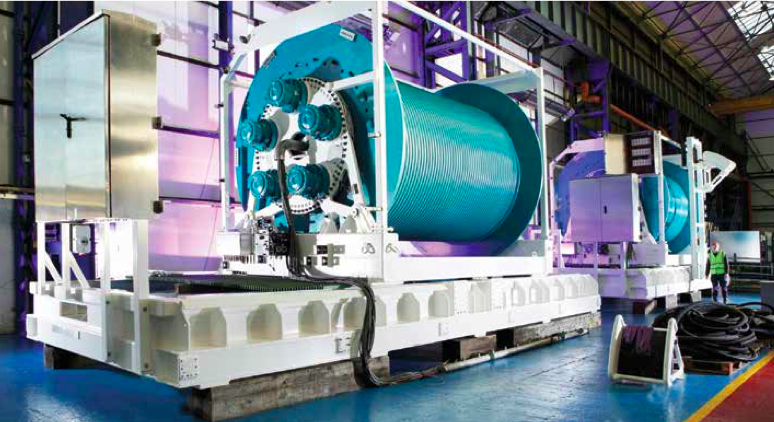 Deep-sea robots used by oil companies can help navigate the harsh environment. And new surveying advances can identify ore locations. Nautilus Minerals Inc. is currently working off the coast Papua New Guinea. After somewhat tumultuous negotiations, the company is now partnered with the state and has started construction on their newly designed Production Support Vessel (PSV). So far they have operated at depths up to 1,600 meters. To make a profit, Nautilus estimates that two million tons of rock need to be mined every year. Their 2005 drilling program yielded promising results, including 15.52 g/t gold, 12.24% g/t copper, 256 g/t silver, 4.3% g/t zinc and 1.77% g/t lead. But the prospect of underwater mining has sparked opposition from conservationists. They note that mining the ocean floor could destroy sea life with detrimental effects on the environment, as well as the potential for devastating oil spills from the drilling boats. In response, underwater mining firms have developed technology that reduces the process's environmental footprint, and have committed to environmentally-conscious social contracts. Neptune Minerals has partnered with New Zealand's National Institute of Water and Atmospheric Research (NIWA) and other organizations to gather physico-chemical data during exploration campaigns in the Solomon Islands. Investors willing to take a chance on the future of underwater mining could collect enormous profits when small exploration companies prove the financial viability of working beneath the waves. Their success would pave the way for countless other companies looking to expand their operations. Nautilus CEO Mike Johnston estimates that in just a few years, about a third of key metals and minerals will be extracted offshore. Join Wealth Daily today for FREE. We'll keep you on top of all the hottest investment ideas before they hit Wall Street. Become a member today, and get our latest free report: "Investing in Junior Mining Stocks"
It contains full details on why dividends are an amazing tool for growing your wealthn. What Do the Titanic, Bismarck, and Big Oil Have in Common? Relatively few people realize that after the Titanic slipped beneath the waves at 2:20 on that April morning, it wouldn't be seen again by human eyes for 73 years.